Ho hum. Another day, another well blowout. 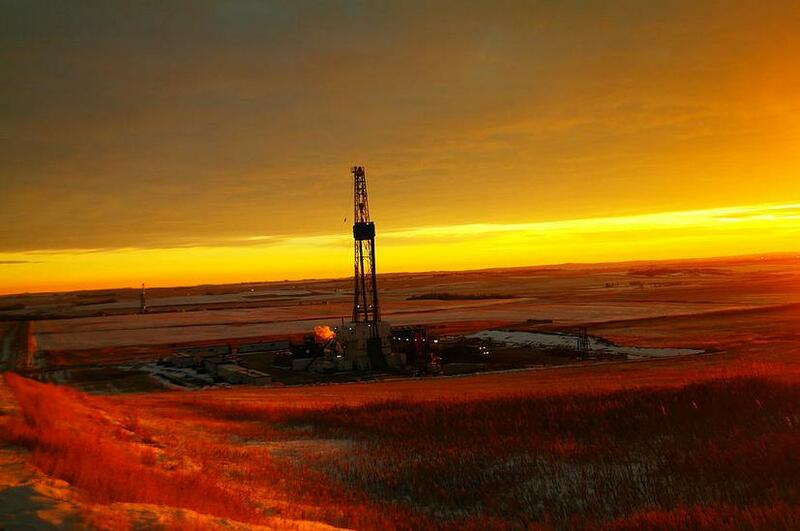 Another 25,000 gallons of crude released in McKenzie County in the Bakken. Sure hope it doesn’t wind up in the Missouri River. Nobody hurt, and not much cause for worry. The land around the well is just farmland. Petro-Hunt LLC, the operator responsible for the well, is on site and working to control the damage. “We’ll be working…to make sure we get it cleaned up,” said Fred Hosey, general counsel for Petro-Hunt. The North Dakota Department of Mineral Resources is there too, protecting the interests of North Dakota citizens. Here’s what they have to say about it: nothing. This, folks, is the Halliburton Loophole in action. The Safe Drinking Water Act (SDWA) of 1974 was established to protect America’s drinking water. It authorizes the EPA to set national health-based standards for drinking water to protect against both naturally-occurring and man-made contaminants. The EPA, states, and water systems then work together to make sure that these standards are met. The Energy Policy Act of 2005 exempted hydraulic fracturing from SDWA oversight, leaving drinking water sources in the 34 oil and gas producing states unprotected from the toxic chemicals used during fracking. Also known as the Halliburton Loophole, this law turns over control of water quality to the oil and gas companies to protect their “trade secrets,” and this is why they do not have to tell us what chemicals they use in the fracking process. So what else leaked besides 25,000 gallons of oil? What chemicals were being used in the well that blew? What is gurgling around in the farmland near Keene, heading toward the Missouri River? Shhh. It’s a trade secret. The oil company is protected, but not the owners of that farmland, and not the people who live downstream from the spill. This, folks, is why we need local regulation of the drilling process. Strong rules, put in place locally, protect citizens, their land and their water from damage done by oil companies that otherwise have no legal responsibility to say what chemicals they are using. And this is why landowners in Carbon and Stillwater counties are fighting so hard to establish local zones. This entry was posted in Bakken, Fracking Information and tagged air pollution, confidential status, Energy Policy Act of 2005, Halliburton Loophole, North Dakota Department of Mineral Resources, oil spill, Safe Drinking Water Act. Bookmark the permalink. Passing this on this morning. Some local residents do not understand just how unregulated fracking and oil and gas development in genera are.